At Fresco Harmony we want you to start Living in Color as soon as possible. Our services include on-site application by professional Fresco Harmony staff. Fresco Harmony Services LLC is Licensed, Bonded, and Insured. We are also happy to assist with color consultation and planning. 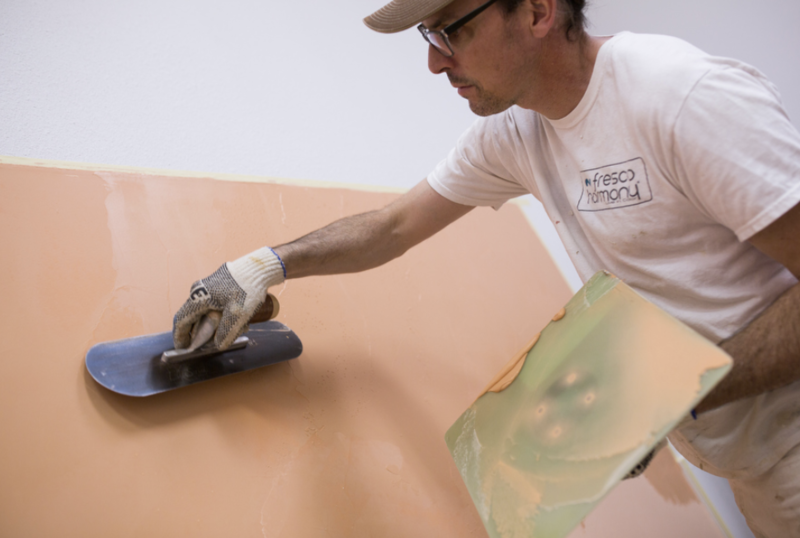 Email us at info@frescoharmony.com to find an applicator near you. Have "DIY" in your Blood? We’ve created the Fresco Harmony system to be as easy as possible. Request a Sample Pack today and we’ll get you a free sample to try. Choose any color you’d like. Next, order all your colors and sealer from one easy place. Be sure to check out our YouTube videos and don’t hesitate to ask if you have any questions. You can also gather information from our Facebook and Instagram pages. Start Living in Color today! If you’re looking to keep your weekend “Honey-Do-List” to a minimum, rest easy because we offer professional application of our Signature Color Series. Hire Fresco Harmony to do all the all the work so you can start Living in Color as soon as possible. Subscribe to our YouTube channel to keep up on the latest by Fresco Harmony.